Sept. 18, 2018, 10:46 a.m.
Plus: The real-world impact of true-crime shows, Serial prepares its return, and an NBC podcast built around an Instagram account. By Nicholas Quah Sept. 18, 2018, 10:46 a.m. Welcome to Hot Pod, a newsletter about podcasts. This is issue 177, published September 18, 2018. Headspin. Been quite the week, hasn’t it? In case you missed it: Last Wednesday, Panoply announced that it was getting out of the content business and, as a result, would be letting go of its entire editorial division — putting more than a few good producers out of a job — in favor of focusing solely on its “podcast hosting and ads services business,” i.e. its Megaphone platform. The company is also getting out of direct ad sales — leaving its client base to shop for new sales partners, seemingly abruptly — in favor of its podcast monetization offering that’s rooted in its partnership with Nielsen’s audience segmentation tool. Which is to say: Panoply is essentially shifting into a direct LibSyn and Art19 competitor with an additional monetization edge. The Panoply news wasn’t an isolated development. That same day, Slate Group chairman Jacob Weisberg announced that he was leaving to form a new audio company with the author Malcolm Gladwell, he of Revisionist History podcast fame. On Thursday, the linear radio giant iHeartMedia acquired HowStuffWorks’ parent company Stuff Media for $55 million (that’s $5 million above what Scripps paid for Midroll, by the way). Capping things off, later that Thursday, the media conglomerate Endeavor began rolling out word of its own podcast division, Endeavor Audio, to the public. Both things are probably true at the same time, or somewhere in the middle, and then some. I’m going very long into these developments, so let’s pause and hit a few other stories first. Sounds unknown. I’m not sure how many people listened to The EP, The New York Times Magazine’s neat little audio experiment from last year, but I’m pretty sure there weren’t many who actually, sincerely, and enthusiastically loved the thing as much as I did. For the unfamiliar, The EP was a special audio project built to accompany the magazine’s second ever music issue, which revolved around a hefty “25 Songs That Tell Us Where Music Is Going” package that featured a different contributor writing each entry. The EP only tackled 13 of those songs, with each three-minute “track” being built around a contributor talking about their piece. Among them: Wesley Morris taking about Adele. There’s Alexander Chee spinning Rufus Wainwright. Jenny Zhang unpacking Mitski. The tracks were short, sweet, and deeply enjoyable; pure little hits of thoughtful culture. I loved the hell out of it. The magazine is back with another audio project, this time with significantly more ambition. This coming weekend will see the release of the magazine’s annual Voyages issue, which traditionally brings readers around the world through a themed series of photo essays. Last year’s theme was “How families around the world take vacations,” and this year’s, of course, boasts a more audio-centric premise: it will be, essentially, a soundscape ecology project, with the goal being to collect sounds that both surprise and that could, on its own, convey revealing information about a place. “We chose places based on what they sound like,” Jake Silverstein, the magazine’s editor-in-chief, told me. “We were looking for sounds that could really convince readers and listeners of our central thesis: that you can learn a lot about the world by listening to it.” On the list (spoiler alert, I suppose): the Gol Gumbaz mausoleum in India, a national park in Mozambique that features a huge bat population, rat life in the New York subway system (! ), and the Kilauea volcano in Hawaii. “I have never actually heard how lava moves before,” Silverstein said. “It’s a mind-blowing sound.” In all, there will be 11 locations and soundscapes featured in the issue. The print issue will feature almost no text — just some introductory words and a short essay by contributing writer Kim Tingley — and the photography will feature no captions. Readers will need to listen to the accompanying podcast to fully understand what’s being presented to them. Contrary to The EP, which was an optional companion project, the audio layer is absolutely central to the experience of this weekend’s Voyages issue. Every episode will accompany a different entry, and it will feature soundscapes as well as contributions from individuals relevant to the locale: experts, scientists, authors. In many cases, field recorders and sound artists based in the area were used to collect the audio. In others, the magazine piggybacked on recordings made during ongoing scientific research. Kara Oehler was brought in to produce the whole package. Silverstein will host the proceedings. Oh man, I’m excited for this. The Guardian makes a daily news podcast, again [by Caroline Crampton]. Last week, The Guardian announced it was joining the cluster of publications currently developing a flagship daily news and current affairs podcast. It will be hosted by Anushka Asthana, a former senior political correspondent on TV for Sky News and The Guardian’s current political editor. (Asthana is actually one half of a job share for the role with colleague Heather Stewart, which was a groundbreaking arrangement for Westminster political reporting when it began in 2016). The daily news podcast is scheduled to launch before the end of the year, and it will be monetised by Acast, which had previously worked with The Guardian on the latter’s Football Weekly and Politics Weekly shows. Bose will serve as its first sponsor, and I’m told that the launch sponsorship slots for the show in the U.K. have already been sold out. Leo Hornak, formerly of the BBC (and who you might remember as the producer behind This American Life’s “Abdi and The Golden Ticket“), serves as executive producer overseeing a team of six journalists. Hornak wasn’t able to share any details at this point when I reached out. He did, however, offer a broader view closer to launch date, so we’ll probably revisit the story then. In the meantime, some brief thoughts and a dash of historical context from my end. The challenge for any show like this is a big one: how to get into major subjects deeply (the announcement says the aim is to “take listeners behind the headlines”) while also maintaining a wide enough topic range for the podcast to be fully current and informative, all in a tight 20- to 30-minute package and on a daily release schedule. News consumers can already get basic headlines and recaps pretty easily from the news segments on commercial radio and social media feeds; if it’s to get them to put on their headphones and download a podcast, the upcoming daily news product needs to offer something more. I would argue the daily news podcast terrain in the U.K. presents an additional challenge, given the BBC’s unparalleled reached and fairly unassailable reputation as an unbiased source of news. That’s on top of the fact that podcast awareness here lags behind the U.S. According to RAJAR, the official body that measures radio audiences in the U.K., 11 percent of U.K. adults listened to a podcast in the first quarter of 2018, whereas this year’s Infinite Dial report put monthly podcast listening in the U.S. at 26 percent. On the flipside, there are two things that could potentially work in the Guardian’s favor. First, the newspaper has a distinctively liberal and left-leaning outlook, which could give its daily news podcast a way of attracting listeners who are keen on exploring the news more deeply but are frustrated by the way BBC has covered divisive issues like Brexit. (The success of single-issue podcasts in this space like Remainiacs and Agitpod certainly suggests there is a market for an unapologetically left-wing take on such matters.) If Asthana is permitted to put her personality and views into the show, that will go a long way to differentiating it from the sterile, characterless style enforced by the BBC’s impartiality rules, too. Second, podcast listenership in the U.K. is highest among younger people, who are also far less likely to listen to live radio or watch traditional televised news broadcasts. They are the growth market for a show like this, and it shouldn’t be afraid of tailoring its content and style to them. It should be acknowledged that this isn’t the first time The Guardian has produced a daily news podcast. That honour goes to a show first called Newsdesk, later renamed Guardian Daily, which ran from March 2006 to July 2010 (here’s the first ever episode and the entire archive). Interestingly, this fact was first left off the press release about the new daily show and only subsequently added, presumably after host Jon Dennis reminded people of the original podcast’s existence on Twitter. I spoke to Dennis on the phone to find out a bit more about how Newsdesk came into being in 2006. At the time, he was deputy news editor for Guardian Unlimited, as the publication’s website was then known (it had a separate staff from the print newspaper). The site’s first foray into podcasts involved the comedian Ricky Gervais when, in the latter part of 2005, the site hosted The Ricky Gervais Show. According to Dennis, the editor Alan Rusbridger, further encouraged by his daughter, eventually proposed The Guardian make its own podcasts in house. Dennis auditioned to host the first of these projects, which was to be a daily news show. Talking to Dennis, I had the impression that he was pretty much left alone to figure out the proto-daily news podcast. It ended up garnering around 26,000 listeners each day — which, for a mid-2000s British podcast, is pretty strong. But the ad sales team at The Guardian was unable to find an effective way to make money off the show, and Dennis found himself hampered by various technological hurdles. There would occasionally be breaking news developments that instantly rendered Newsdesk/Guardian Daily moot, as he wouldn’t be able to derive enough resources to re-record an emergency podcast or respond in any adequate way. Without any marketing budget and with a poor internet presence, the podcast struggled to grow, although the existing listeners remained loyal. By 2010, Dennis said, “the enthusiasm internally at The Guardian had gone for it. 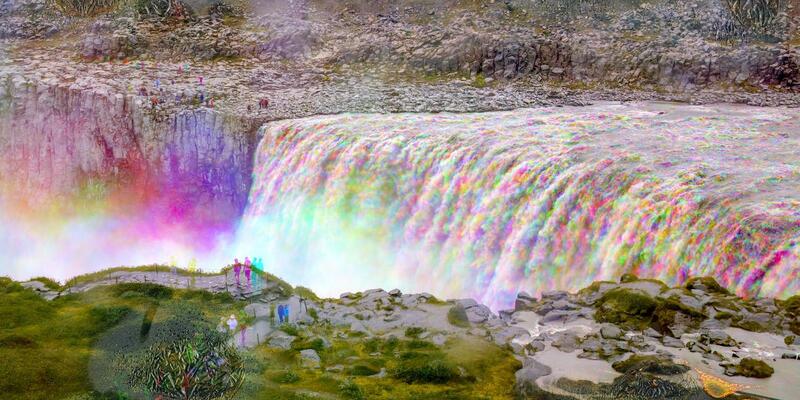 They were convinced that there was something wrong with it. They tried various things, and it didn’t really feel like there was much left of me in it really by the time it finished.” Guardian Daily received a surprise stay of execution while it covered the aftermath of 2010’s inconclusive general election, but was eventually put to pasture in July of that year. Dennis is surprised that it took so long for The Guardian to resurrect the idea of a daily podcast, especially given the direction podcasting has taken since 2010. “They bloody well should be doing a daily news podcast,” he said. “That’s why they brought it back — it’s absolutely the obvious thing that The Guardian should be doing.” He also suggested that a desire to follow in the footsteps of The New York Times’ The Daily could be behind the new launch, but stressed that it absolutely made sense for The Guardian as a news organization to put news at the heart of their podcasting operation, too. While I’m sure that Hornak and his team will be wanting to start afresh with their new project, I think it’s fair to say that Dennis’ efforts back in 2006 had blazed a fair bit of trail for them. Yes, the production quality for Newsdesk/Guardian Daily wasn’t always top notch, and a few more narratively-reported segments wouldn’t have gone amiss. But the seeds for an informative, fast-moving show with a distinctive viewpoint that drew on The Guardian staff’s expertise was planted then and there. The People v. True Crime [by Caroline Crampton]. Australian police are currently conducting a five-day forensic search of a property in Sydney, the former residence of missing woman Lyn Dawson and her husband Chris. Police have said they will soon be pursuing charges against the latter. This case is the subject of the popular true crime podcast The Teacher’s Pet, made by The Australian newspaper and downloaded over 17 million times. Of course, now that the investigation into this disappearance from 1982 has ramped up again, there has been plenty of chatter about the power of true-crime podcasts and documentaries to influence real-life criminal cases (see: Adnan Syed, Steven Avery, Robert Durst, etc). Greater awareness of injustice is always a good thing, especially if it leads to cash-strapped authorities dedicating more resources to cold cases and potentially giving closure to grieving families, but we mustn’t presume that’s the case just because of a few Twitter hashtags and water-cooler chats. After all, despite millions of Serial fans advocating for his innocence, Adnan Syed is still in prison. Basically, as ever, it’s more complicated than it seems. The Third Coast Festival have announced its awards winners. You can find the list here, and for the unfamiliar, the festival leaves the “who won what?” question until the conference itself, which is set to take place October 4-6. In Chicago, of course, given the whole “Third Coast” nomenclature. Per the Endeavor Audio press release: Two-Up Productions’ Limetown will return for its second season on October 31. As a reminder: Serial Season 3 returns this Thursday. NBC Sports is building a podcast around On Her Turf, the Instagram account that it developed through a partnership with Refinery29. It’s hosted on Art19, runs for 20 weekly episodes, and features sportscaster Kathryn Tappen as host. In my understanding, the Panoply decision was driven by a cold calculation. Put simply, the company has moved to no longer stretch its resources (and identity) across multiple lines of businesses — content, direct ad sales, technology — and to restructure itself purely around the one business that it has identified as having the most differentiation and long-term growth potential in the marketplace. Panoply may have had some high-profile shows over the years, but the business of hit production is exorbitantly risk-heavy, and when it comes to podcasts, you’re talking about an environment with an infinite competitive horizon already stacked with formidable players. Some readers wrote in to draw a line between Panoply’s withdrawal from the podcast content business and Audible’s early August move to eliminate a considerable number of roles within its original programming unit, particularly the podcast-style production team led by former NPR exec Eric Nuzum. Some suspected the two stories to be linked by a similar skepticism, perhaps from the companies’ respective higher-ups, about the prospects of podcasting. I don’t see how that could be the case. If anything, Panoply’s move feels like a doubling down on the industry’s prospects, as the choice to focus on Megaphone is itself a bet that there will be more popular and profitable podcasts to come that would need next-gen technology support. The Audible situation is a tad messier. As I’ve mentioned previously, I suspect the reshuffling of the company’s original programming division to primarily be linked to the executive turnover that took place last December. A shift in leadership philosophy and internal politics, in other words. In any case, the platform appears to going down its own path on original programming: audiobook-only products, theatrical adaptations, meditation app acquisitions. The Amazon-owned audiobooks giant may not be competing within the infrastructural context of podcasting, but they still very much compete for the relationship with audiences. Those two stories aren’t linked by skepticism about podcasting; rather, they’re linked by a similar move to double-down on their respective ecosystems in pursuit of the same goal: to derive value from capturing the earballs of people everywhere. Nevertheless, the timing of the Panoply news was suspect, as it took place shortly after the company presented at the IAB Podcast Upfronts where, among other things, it announced a new fiction podcast co-written by The Bright Sessions’ Lauren Shippen and starring Kelly Marie Tran. (The project is still apparently going to roll out in November which…you know, awkward.) I don’t know, exactly, what’s behind the strange timing, but I reckon it has to do at least something with Jacob Weisberg’s decision to head out on his own. 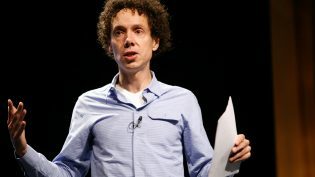 In parallel to the Panoply news on Wednesday, Weisberg announced that, after 22 years, he was leaving the Slate Group, which houses both Panoply and sister company Slate, to form a new audio company with Malcolm Gladwell. His departure comes at a moment where Slate, a veteran internet magazine operation, appears to have found some success navigating the choppy digital media waters with the help of a growing podcast business. At the end of 2017, podcasting made up 25 percent of the company’s revenues, up from virtually nothing in 2014. And this year has looked to be a good one so far for Slate podcasting. Working off the strength of a formidable long-running portfolio that includes the Slate Political Gabfest and The Gist, the company has been rolling out a fleet of new shows, which includes the critically-acclaimed, widely consumed (its first season reportedly brought in 11 million downloads), and utterly fantastic Slow Burn. More big projects are in the oven: I’ve previously reported that Slate is working with author Michael Lewis to develop a podcast series. Which raises the question: Why is Weisberg leaving to form a new audio venture with Gladwell now instead of keeping things in-house at Slate? I have no special insight into this, and there’s likely a ton of backstory we’re not privy to, but I can’t help seeing a possible parallel with the Panoply story here. Whatever the overarching circumstances, this could well be a situation where Weisberg and Gladwell want to run where they could previously only walk. Anyway, specific details about Weisberg and Gladwell’s new venture are still scant, but we do know that it will focus on producing podcasts, audiobooks, and smart speaker content. 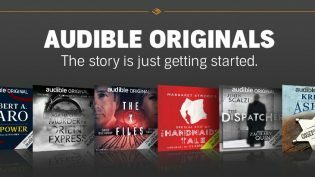 I find the explicit evocation of audiobooks especially interesting; given Audible’s strategic shift to partnering directly with well-known authors to produce audiobook-only products and bypass publishing houses, it’s hard not to imagine the play here. And if Weisberg and Gladwell haven’t already thought about striking up a direct relationship with Audible, they should be. I’ll admit to not being particularly surprised about iHeartMedia acquiring Stuff Media. I’ve heard rumors about HowStuffWorks slipping on a price tag as far back as June; when I followed up with the company, those rumors were categorically denied. (¯\_(ツ)_/¯). But here we are. On HowStuffWorks’ end, things strike me as a little more mixed. The Atlanta-based podcast giant has been at this for a long time, persisting through early podcast history beneath the umbrella of multiple parent companies before spinning out as an independent entity and raising $15 million in Series A money about a year ago. Since going solo, they’ve expanded, struck a few new partnerships, modernized their backend, and rolled out a few big-swing shows, including Atlanta Monster. That the company decided to be acquired (for $55 million, which feels a little flat, IMHO) rather than staying independent to either (a) further bump that number up or (b) become a bigger business of their own is the sticking point. A year is a really short time for a spin-out and exit, so either they didn’t read their long-term independent prospects positively…or perhaps this was always part of the plan. Anyway, the Panoply and iHeartMedia-HowStuffWorks stories interact in a really interesting way: Prior to the acquisition, HowStuffWorks hosted its podcast portfolio on Megaphone, which I presume is an arrangement that’s pretty lucrative for Panoply. It’s unclear to me whether iHeartMedia will move HowStuffWorks onto another platform — perhaps its own in-house solution? — or whether they’ll keep things as is and build a sales infrastructure to meet it. We’ll see. So, taken collectively, what do all these stories mean? Are they data points contributing to some impending cataclysm, or do they point elsewhere — towards something simultaneously better and worse, something just different? One way to read this is a story of an industry “maturing.” In the final accounting, we have: a broad multi-purpose podcast company that’s restructured into a pure tech company, one big radio company gobbling up a smaller podcast content company, and one brand new content company. Put another way: You have a company that’s finally decided on what it should be, one big legacy media company buying their way into the medium, and a new audio company built on the foundation of a really popular blue-chip podcast (and Broken Record). Another way to read it: The past few years marked a period of unchecked experimentation on a large scale, where a wide spread of gambits were laid out with ample runway. What we’re seeing might now might be the beginning of a turn: The tests have been run, the results have come in, and the time has come to shift resources based on what was found. In other words, as the podcast industry continues down its steady and relatively unsexy path of growth, players are reshuffling their decks in response. I do believe that, by the way, but the belief is not without caveat: By a “better” job market, I mean that the current environment is one where producers can get paid gigs more easily than, say, five or six years ago. That doesn’t necessarily refer to the ability to get a desirable job at a company that will make good decisions, listen to you, and provide you with a place to grow — that’s a whole other bag of worms. But you can get paid. And that’s the frustrating heart of all this: Abundant jobs or no, producers function within a system where the fates of workers are mostly at the relatively unprotected mercy of capital, companies, and their leadership team struggling through their respective problems of identity, vision, and product-market fit. One last thing. The framework for thinking through all of this remains the same: Demand for time-shifted on-demand audio content continues to increase, and demand for good on-demand audio creators and producers are going up accordingly. The central question we’re grappling with here is how money gets made. That story is only partly about how the podcast industry/community figures out its arrangements and business model. It’s also about how it deals with opportunities, challenges, and interactions with other systems — audiobooks, music streaming platforms, and whatever else lies around the corner. POSTED Sept. 18, 2018, 10:46 a.m.
Quah, Nicholas. "The New York Times Magazine wants to send you on an audio “voyage,” featuring bats, rats, and volcanos." Nieman Journalism Lab. Nieman Foundation for Journalism at Harvard, 18 Sep. 2018. Web. 25 Apr. 2019. Quah, Nicholas. "The New York Times Magazine wants to send you on an audio “voyage,” featuring bats, rats, and volcanos." Nieman Journalism Lab. Last modified September 18, 2018. Accessed April 25, 2019. https://www.niemanlab.org/2018/09/the-new-york-times-magazine-wants-to-send-you-on-an-audio-voyage-featuring-bats-rats-and-volcanos/.